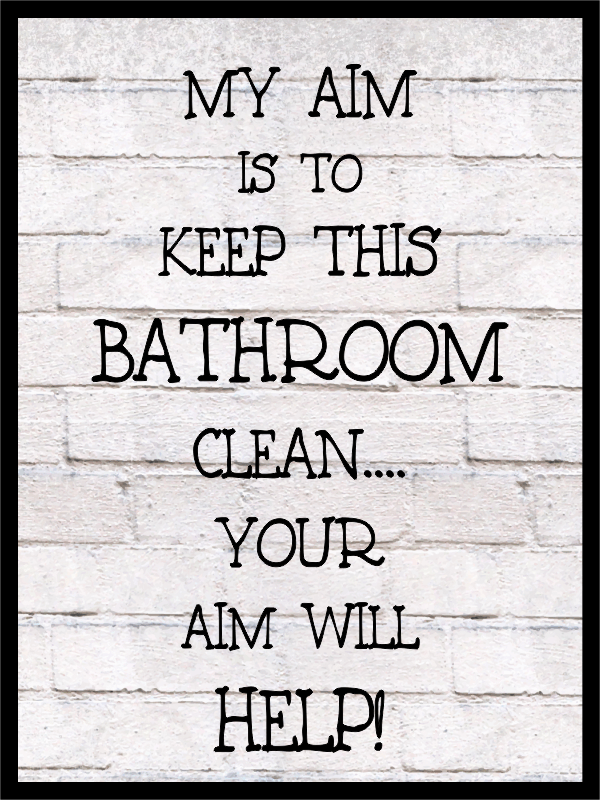 Add some fun to your bathroom wall with this 9" x 12" decorative My Aim is to Keep this Bathroom Clean.....Your Aim will help! vinyl PVC sign. Fridge Clean Out Dry Erase Sign | 8" x 6"
Add this 9" x 12" funny Keep this Bathroom Clean printed vinyl mounted to PVC plastic sign to your bathroom decor. Have it framed for an even more stylish look. Choose your backing for easy hanging.